Where to Buy Spectro Fungicide, Spectro 90 WDG Fungicide 3336 Daconil - 5 - 24 Lb - $82.95 for Sale with Fast Free Shipping! 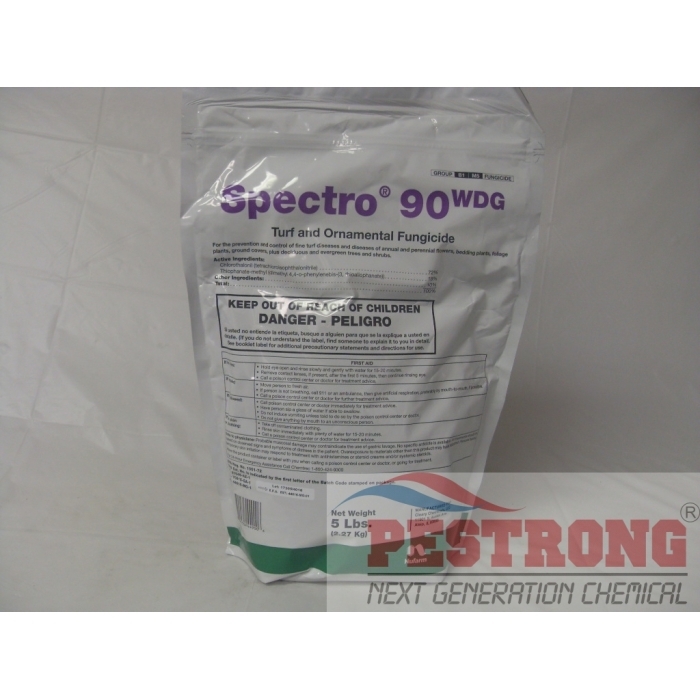 Spectro 90 WDG Fungicide 3336 Daconil - 5 - 24 Lb is a combination of two broad-spectrum fungicides – 3336 fungicide and daconil fungicide. By buying this product & leave product review you can collect normally 35 reward points as a voucher of $3.50(1%). Combination of 3336 and daconil offers more broad-spectrum disease control for ornamentals with one spray. Rate : 3 - 5.76 oz per 1,000 sq.ft for Turf, 1 - 2 Lb per 100 gallons of water for Ornamentals. This takes care of a wide range of awful fungus that I have had the misfortune of getting to know. After using this, I no longer have a problem with them. This works quickly and effectively. This gives me a peace of mind knowing that my flowers will stay bright and healthy.